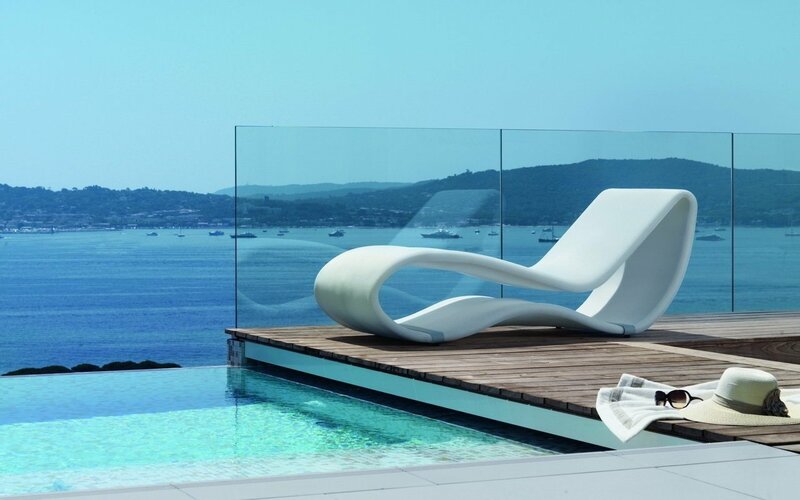 The gorgeous and sculptural new version of Breeze Sun Lounge is a high end luxurious sun lounge, handmade Italian Design. Designed by Karim Rashid. A relaxing sunbed with aluminum frame and Microfeel covering. It is a new version of an exclusive sunbed that makes your outdoor furniture much more comfortable and glamour. For additional protection, we recommend the use of our covers in winter season or in the evening mainly in rainy periods. Use a soft and moist cloth and , if needed, water and mild soap. The fabric is breathable and dries quickly.